NORTHWEST INDIANA EYE & LASER CENTER P.C. Optometrist and Contact Lens Specialist Stephen Buck, O.D. is a Co-Founder of Northwest Indiana Eye & Laser Center, P.C. 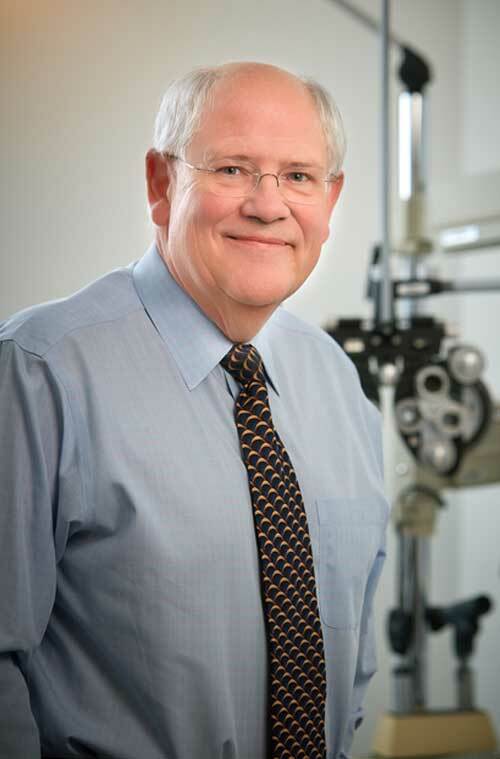 A native of Valparaiso, Dr. Buck earned his Doctorate of Optometry degree at Indiana University School of Optometry in Bloomington, Indiana. He commenced practice in Valparaiso where he earned the respect and trust of patients from throughout northern Indiana and was chosen as Indiana’s #1 Optometrist. Dr. Buck provides eye health and vision examinations for eyeglasses and contact lenses, specialized contact lens fitting including complex contact lenses. Dr. Buck is well recognized for his experience and expertise in the fitting and management of all types of contact lenses including Multifocal Contact Lenses for the correction of near vision focusing problems such as presbyopia, Rigid Gas Permeable (RGP) Contact Lenses and the entire range of Soft Contact Lenses for daily and extended wear. Dr. Buck is a member of the American Optometric Association and the Northwest Indiana Optometric Society. He currently serves as Chairman of the Center Township Board. Dr. Buck is an invited speaker at many meetings on contact lenses and is a member of the ACUVUE® Leadership Team for Johnson & Johnson.